Only chants of Quranic verses will play on flights to Jeddah and Madina, a Pakistan International Airlines (PIA) spokesperson confirmed, stating that the decision was taken bearing pilgrims' sentiments in mind. 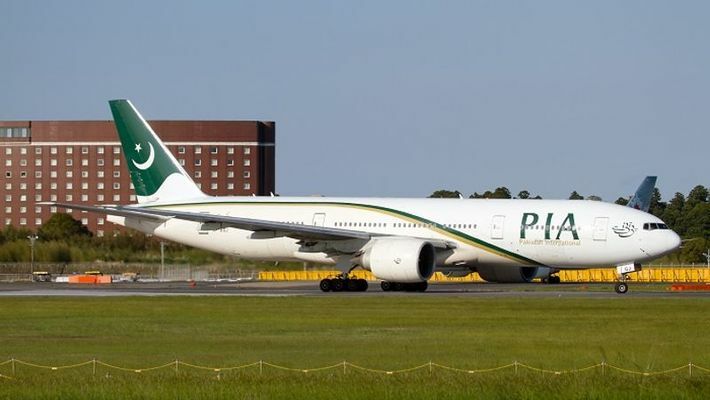 Lahore: The Pakistan national carrier Pakistan International Airlines (PIA) will only play Quranic verses naats for pilgrims travelling to Jeddah and Madina. PIA has banned in-flight entertainment and, an official of the national carrier said Thursday. PTI reports a PIA spokesperson Mashhood Tajawar stating that the decision was taken "in light of the peoples' sentiments." The cash-strapped PIA has been running into huge financial losses. Its current liabilities stand at Rs 431 billion. For years, the airline with 18,000 plus employee and a fleet of 32 airplanes has only been adding billions to its loss sheets. "The decision to play Quranic verses and naats (recitation of poetry praising the Prophet) during taxiing and landing for flights to Jeddah and Madina has been taken in light of the people’s sentiments," Tajawar said. No other music will be available in the in-flight entertainment system, he said, adding that the impression that the PIA has banned music on all routes is incorrect. "This is only for Jeddah and Madina as the people go there on holy journey. Therefore, playing music/songs on these routes is not appropriate," Tajwar said, adding passengers of other flights will have access to the in-flight entertainment system available on the aircraft. The PIA has also decided to welcome passengers on board with the Qaseeda Burda Sharif (Islamic hymn) playing in the background instead of soft music. "A rendition of the Qaseeda Burda Sharif, a popular Islamic hymn, will be played while passengers board PIA airplanes for all domestic and international flights," Tajwar said.